Perhaps as a reminder of where poker pros really stand when it comes to the celebrity biz (yet also a reminder of just how fun/popular poker fundraisers still are) there was a big-wig charity poker tourney at the Cannes Film Festival that Phil Hellmuth did not host and not a single Full Tilt player competed in. Shocking, I know … especially considering that the event was semi-televised: The Partouche Charity Poker Festival aired live on TV screens throughout the Palm Beach Casino. (Interesting concept, no?) seems like it was turned into a 90-minute souvenir that may or may not be for sale. Very confusing, the televised part. Woody Harrelson giving his best Phil Hellmuth impression on the red carpet before co-winning the Partouche Charity Poker Festival in France. The occasion was Dennis Hopper’s big 7-2. Woody Harrelson, star of the latest poker-movie flop, The Grand, ended up chopping the $1 million prize pool with French actress Alice Taglioni. Because no poker media was there, I can’t really tell you much about the set-up or structure or even how the 50 (?!) cameras were working, but I can tell you that Hopper had a 100kg strawberry sponge cake, and in defiance of French anti-smoking laws, lit up a cigar. Tim Robbins ordered a triple-vodka after what presumably was a bad beat/play … ex-Hollywood flames Salma Hayek and Ed Norton were civil to each other at the table, even though Hayek left without saying goodbye. Adrian Brody and Goldie Hawn rounded out the field, both wearing sunglasses. Fascinating, I know. Dig/click in a little deeper and you’ll learn that Goldie’s daughter Kate Hudson is done with Owen Wilson and now hittin’ it with Lance Armstrong, who is done with Sheryl Crow who long ago was done with Owen Wilson. Sorry for the lack of personal postage last week and presumably this one … I have gotten caught up in the housing crisis and am moving again over the next couple days … even though I don’t know where yet. Seriously, housing crisis is very real here — our friends at The Poker Atlas were forced to relocate due to the house they were renting going into foreclosure; Rounder Club West got evicted from their digs a couple weeks ago because their landlord decided to desperately sell. 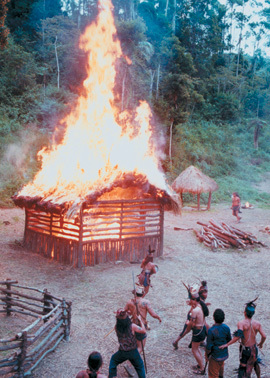 When this sorta thing happens to three homes in an isolated niche, it can’t just be coincidental. Anyhow, so yes, content … sorry for the lack thereof and sorry for the blog-cliche post about being sorry. There’s still plenty going on out there that the poker-minded populace shouldmaybe care about, regardless of my personal battle against homelessness. As we know, the US is currently trying to figure out how to enforce the UIGEA — the AMERICAN BANKS say they can’t really do it — so now, instead of rewriting our own bad laws, we are pressuring the UK to change theirs. And here’s an article about EL PASO’S rich gambling history – underground or not — over the past 100+ years, starting with a mayor in 1895 known as “Poker Bob” Campbell. A NEW BLOG (to me) I am now following semi-regularly: David Matthews’ Gambling in Space. If this case stands, then it could effectively rewrite tax law and make it easier for gamblers to report losses and more difficult for the IRS to go after gamblers. BALLY TECHNOLOGY also won a pretty big case in court — against SHUFFLE MASTER, which up to this point has maintained an expensive stranglehold on the automatic shufflers you see in poker tables. And CALIFORNIA JEN may have loved the poker mockumentary THE GRAND, but not everybody did. This is one of the best comedies IÃ¢â‚¬â„¢ve seen in a long time. I laughed myself to tears during several parts of the movie. I walked into the theater with low expectations and left thinking about seeing it again. The casting was brilliant, as many of the actors are experienced improv comics and had no problem adding their own flavor and likely varying quite a bit from the original script. From Woody Harrelson to Ray Romano, from Richard Kind to Dennis Farina, and from David Cross to Chris Parnell, most everyone took their characters to the highest level. Even Cheryl Hines surprised me Ã¢â‚¬â€œ only because IÃ¢â‚¬â„¢m not terribly familiar with her work Ã¢â‚¬â€œ in her deadpan scenes. Numerous poker players were strewn throughout the film, like Doyle Brunson, Phil Hellmuth, Daniel Negreanu, Phil Laak, and Antonio Esfandiari. Gabe Kaplan had a main role, which wasnÃ¢â‚¬â„¢t tremendously impressive but an integral and sometimes funny role nonetheless. Phil Gordon played a recurring role throughout the movie as the tournament commentator, and he was fantastic. Some of his lines were the best of the movie. The Spinal Tap of Poker? I’ve long thought that poker and fiction generally don’t mix well — at least not in the modern poker era when you’ve got so much got so much comedy, drama*, and pervy shenanigans going on in real poker life. 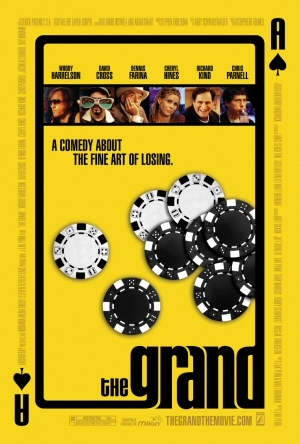 But the newest poker movie, The Grand, may be different. Not only does it have an intriguing cast — Woody Harrelson, Dennis Farina, Ray Romano, David Cross, Cheryl Hines, Richard Kind, Chris Parnell — but also it’s improvised during a real poker tourney Curb Your Enthusiasm style. The movie opens in Los Angeles, Las Vegas, New York City, and Philadelphia next Friday. Click here to see the trailer … and we’ll have to see how many of you/us actually go see the film. ALT HED: Lucky You 2?